Distorting the meaning of language is a seductive but dangerous game. It’s seductive because it provides enormous short-term benefits. It’s dangerous because, as two recent examples show, it can ultimately eviscerate fundamental values. One example comes from this week’s Israeli election, in which Prime Minister Benjamin Netanyahu’s Likud Party actually gained seats despite multiple corruption cases against him. A survey published in February by a Haifa University political scientist explains why: Most voters for Likud and allied parties don’t believe the allegations because they don’t trust the legal system. Fully 65 percent of Likud voters and 75 percent of haredi voters think law-enforcement agencies are simply trying to oust Netanyahu. On one level, this is shocking. But on another, it’s not shocking at all because the Israeli left has spent decades successfully subverting the concept of “the rule of law” for its own political benefit. 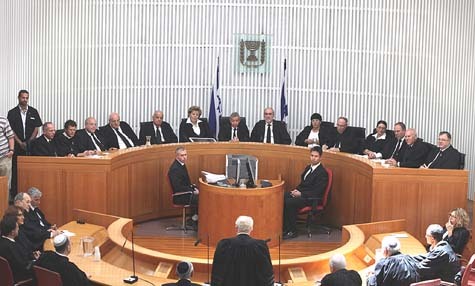 Moreover, in almost every Western democracy, the executive and legislative branches choose Supreme Court justices; only in Israel do sitting justices have veto power over the choice of their successors. 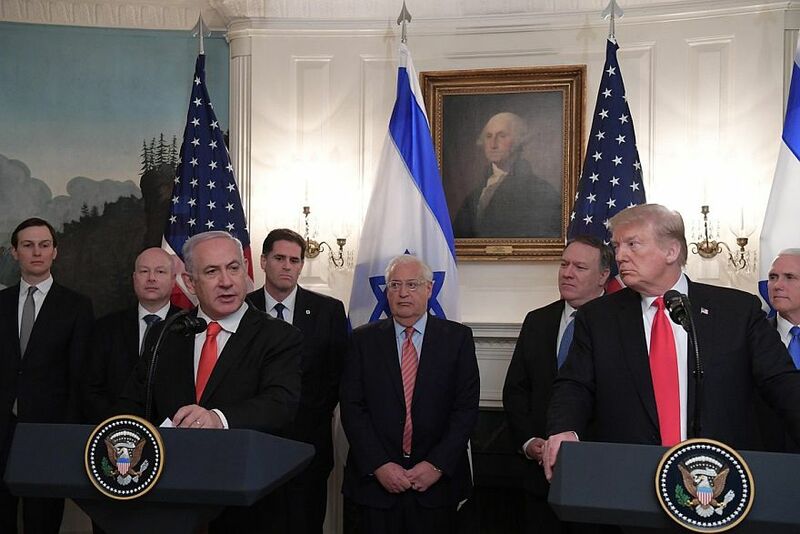 Yet the left has branded every attempt to align Israel’s judicial appointments system with this Western norm as “contrary to the rule of law,” and thereby successfully staved off change. Israel is also unique among democracies in treating the attorney general’s views as binding on the government. Thanks to a 1993 Supreme Court ruling, whenever the attorney general opposes a policy, he’s entitled to represent his own position in court rather than the government’s, thereby leaving the government’s position unrepresented and ensuring that it loses cases by default. Letting an unelected attorney general dictate to an elected government is patently undemocratic and preventing any group, even the government, from defending itself in court violates a fundamental democratic right. Yet leftists have successfully branded this, too, as “the rule of law”; consequently, attempted reforms have repeatedly failed. Finally, there’s the unequal application of laws, as epitomized by a pre-election ruling that disqualified a Jewish Knesset candidate but nixed the disqualification of an Arab party, Balad. The law lists three grounds for disqualification: inciting to racism, rejecting Israel’s character as a Jewish and democratic state, and supporting armed struggle against Israel. Balad, as the court itself has acknowledged, openly rejects Israel’s Jewish character. Several of its MKs have also faced criminal proceedings for abetting anti-Israel terror. Yet the Supreme Court chose to ignore all this, thereby effectively declaring the law a dead letter except when used against Jews. So here’s how your average rightist voter understands the rule of law today: It means that unelected legal officials—justices and attorneys general—can veto any government decision, thereby making a mockery of democratic elections. It means that laws meant to apply to Jews and Arabs alike are only enforceable against Jews. It means letting justices select their own successors, keeping the court ideologically monochromatic. In short, it’s just a trick for ensuring that the left can continue imposing its views no matter how many elections it loses. That trick has successfully thwarted all legislative efforts at reform. But the price is that many rightists now distrust and despise “the rule of law” to such an extent that they dismiss pending indictments against a prime minister as just another attempt by the legal establishment to subvert democracy. This is a tragedy because the rule of law, in its original meaning, is an essential foundation for democracy. Inter alia, it means that the bounds of legitimate action are defined not by the ruler’s whims but by laws whose content is public knowledge; that those laws apply equally to all; and that disputes are settled in court according to those laws rather than by force. In short, it’s a shared framework that protects the individual and enables diverse groups to live together. The second example is last week’s National Council of Young Israel gala. When a speaker mentioned “the leftist progressive tikkun olam ideology,” the American Modern Orthodox audience booed. But by appropriating tikkun olam as their own exclusive property, leftists have discredited the entire concept; many Jews now see it as a stand-in for ideas that they (and many other reasonable people of goodwill) consider destructive. That’s a massive own goal. But it’s also a tragedy for the Jewish people, which has lost a shared moral language that could have been a unifying factor. The left’s subversion of language has thus wreaked long-lasting harm on both Israel and the Jewish people. And all of us will be paying the price for many years to come. Evelyn Gordon has worked as a journalist and commentator in Israel since 1990. She writes frequently for Commentary magazine’s blog.